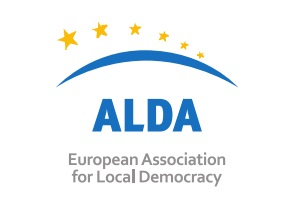 On 12 – 18 November in the municipalities of Latvia European Local Solidarity Days (EDLS) took place, like in several European countries. The team of the LALRG wish you happy and colourful Easter! The team of the Latvian Association of Local and Regional Governments wish you happy and colourful Easter! Adopted Bucharest Declaration "Building the EU from the ground up with our regions and cities"
This year's first meeting of the Board of the Latvian Association of Local and Regional Governments (LALRG) on January 8, advisers of the LALRG presented achievements of thematic cooperation networks of local governments meetings and events from last year. With gratitude for the rewarding cooperation in 2018 and with the best wishes for a prosperous, exciting and blessed New Year! May the miracle of Christmas fill your heart with warmth and joy! On 2 March in Kuldīga (Latvia) the Latvian Association of Local and Regional Governments in cooperation with Kuldīga municipal council and NGO „Zaļā brīvība” has organized discussion “Development education: how to fund and implement”. On 1 December the Latvian Association of Local and Regional Governments in cooperation with the Latvian Platform for Development Cooperation has organized discussion on the United Nations’ Sustainable Development Goals adopted at the end of 2015. On 4 October, the annual negotiations between the Latvian Association of Local and Regional Governments (LALRG) and Ministry of Culture were held. On 9 August, the annual negotiations between the Latvian Association of Local and Regional Governments (LALRG) and Ministry of Education and Science were held. On 27 June, the annual negotiations between the Latvian Association of Local and Regional Governments (LALRG) and Ministry of the Interior were held. On 2 April, during the meeting of the European Committee of Regions’ Commission (SEDEC) in Brussels Ligita Gintere, representative of the Latvian Delegation and Chairwoman of Jaunpils Municipality presented the activities of joint implementation of the UN SDG of Jaunpils Municipality and the LALRG. 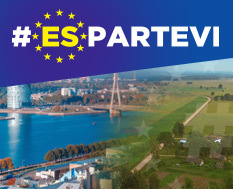 Representatives of European regions and cities call for the reduction of inequalities in Europe, with greater involvement of local governments.